The person of interest (pictured above) is wanted for questioning in the March 24th, 2004 murder of Kevin Clewer. ​He is described as male, white Hispanic, 5’7” tall, with a slim/athletic build. He speaks with a Hispanic or European Spanish accent. 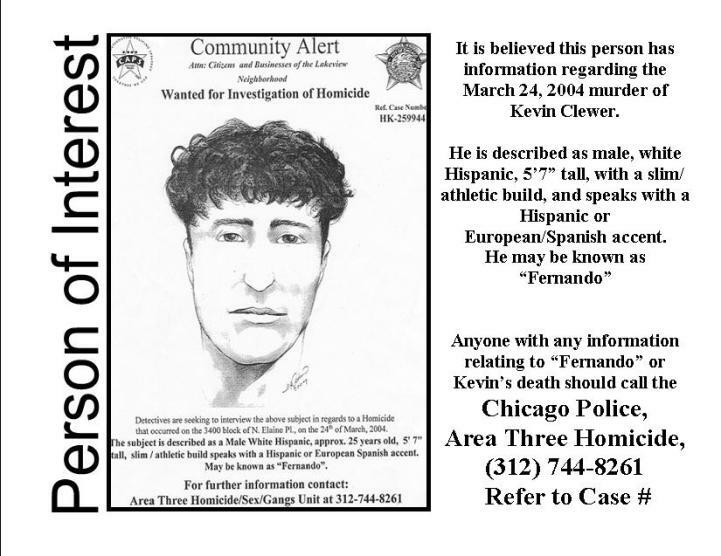 ​​He was last seen with Kevin in the North Halsted Street area - March 24, 2004.